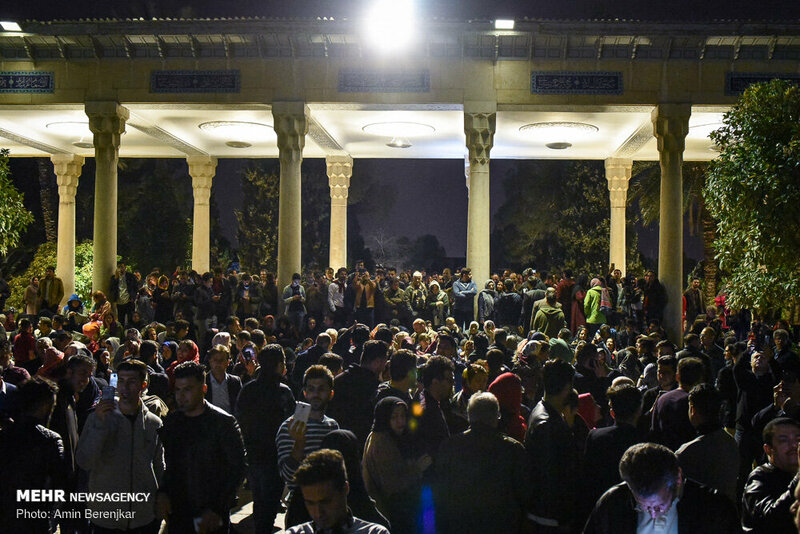 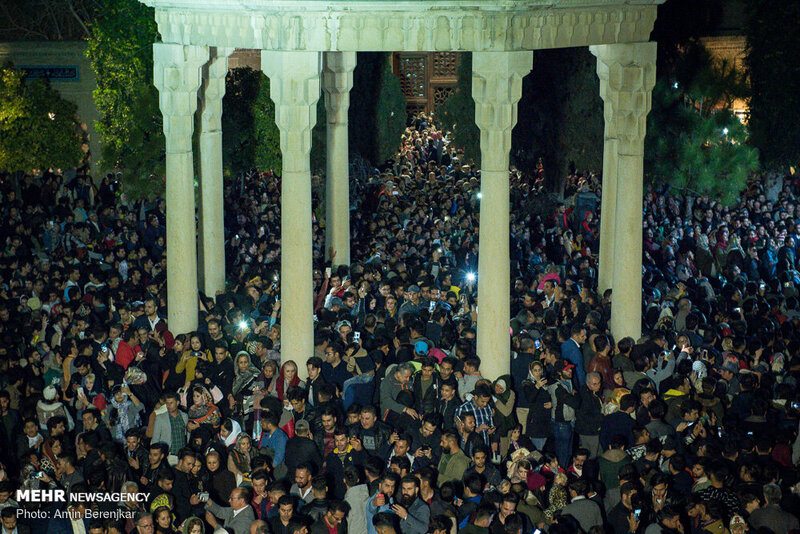 Iranians gathered at the Tomb of Hafez in Shiraz, Fars province, last night to celebrate Persian New Year, Norooz. 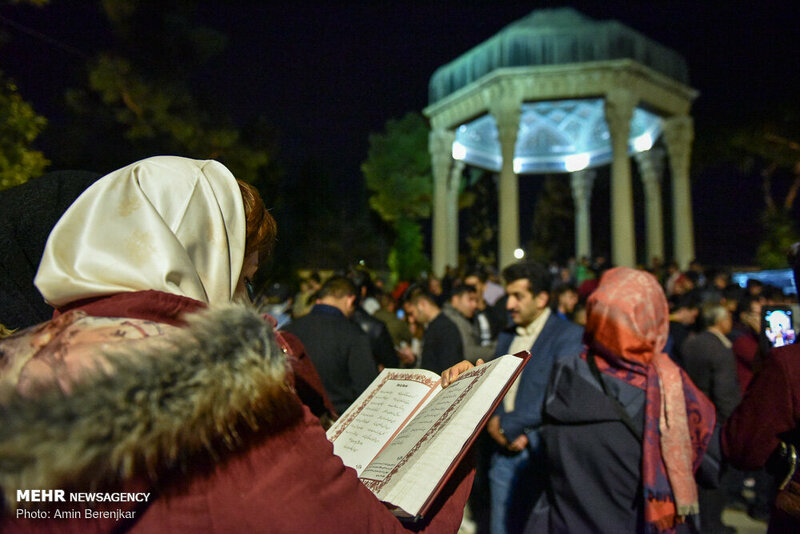 The vernal equinox which took place at 1:28 AM local time marked the start of spring and Norooz holidays in Iran. 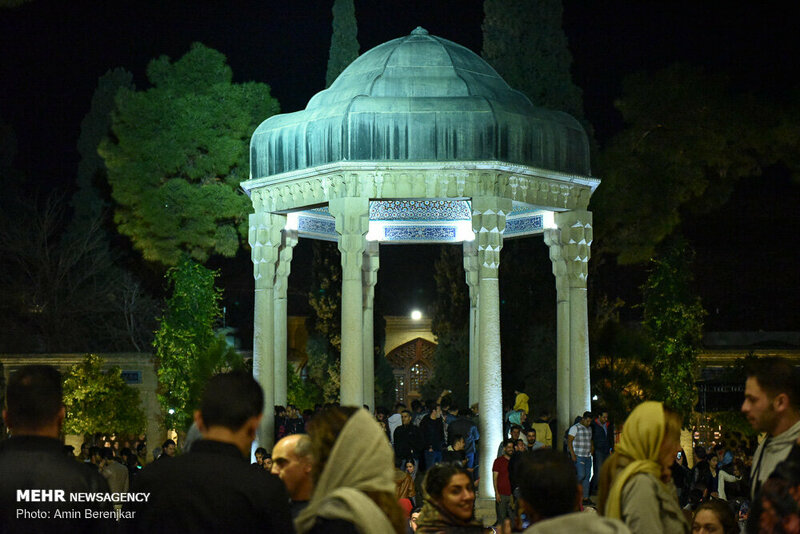 Shiraz is known as the City of Poets, Literature, Wine and Flowers. 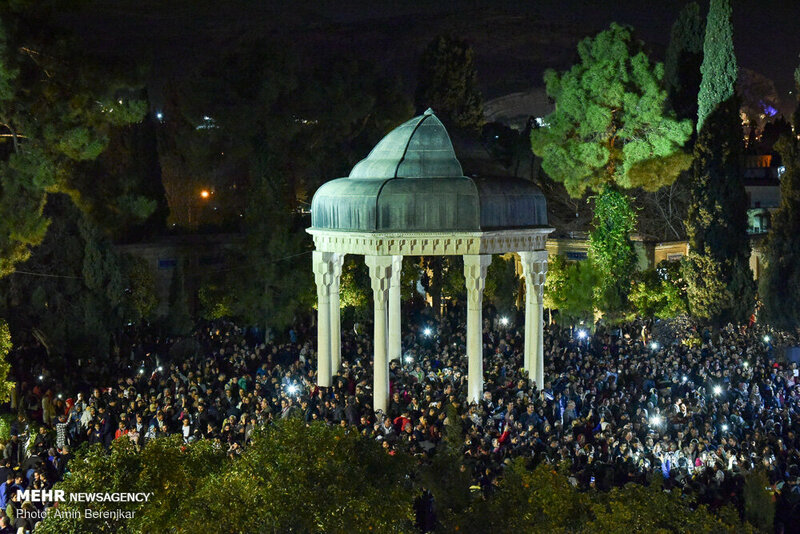 Hafez was a Persian mystic and poet. 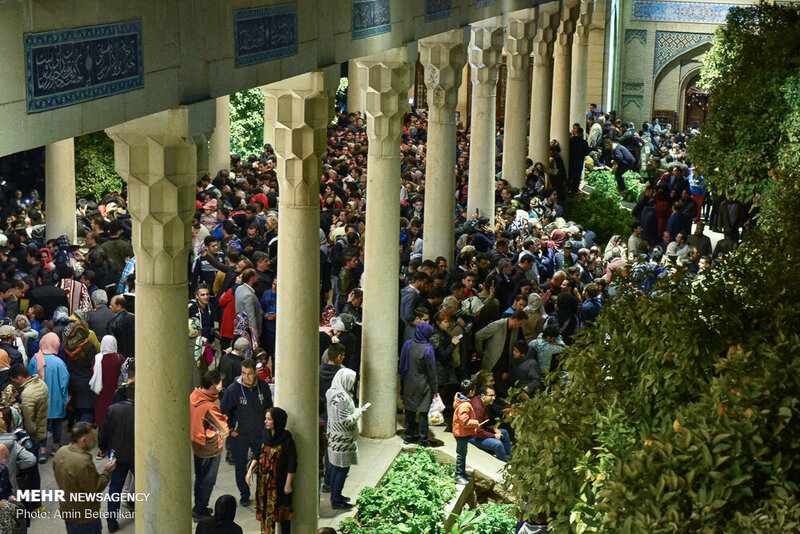 He was born sometime between the years 1310 and 1337 in Shiraz, Medieval Persia. 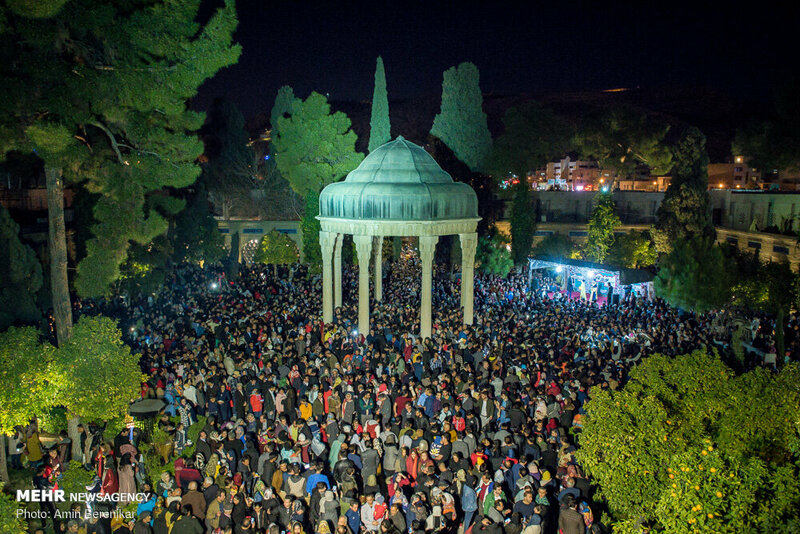 John Payne, who has translated the Diwan Hafez, regards Hafez as the greatest poet of the world. 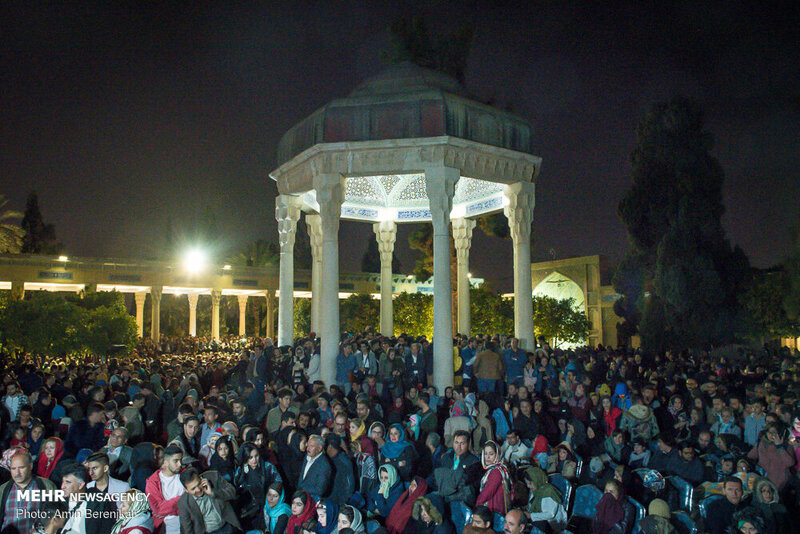 His lyrical poems, known as ghazals, are noted for their beauty and bring to fruition the love, mysticism, and early Sufi themes that had long pervaded Persian poetry. 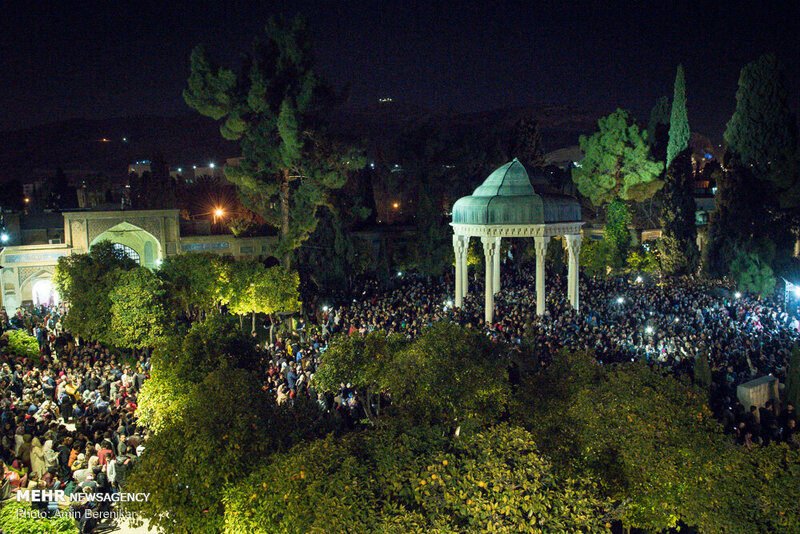 Moreover, his poetry possessed elements of modern surrealism. 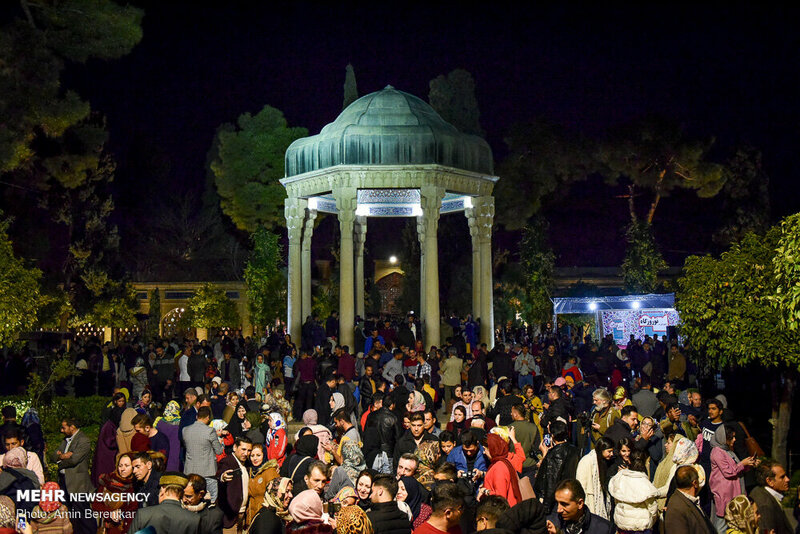 Norooz (literally "New Day") is the name of the Iranian New Year, also known as the Persian New Year, which is celebrated worldwide by the Iranians and Turkic peoples, along with some other ethno-linguistic groups, as the beginning of the New Year. 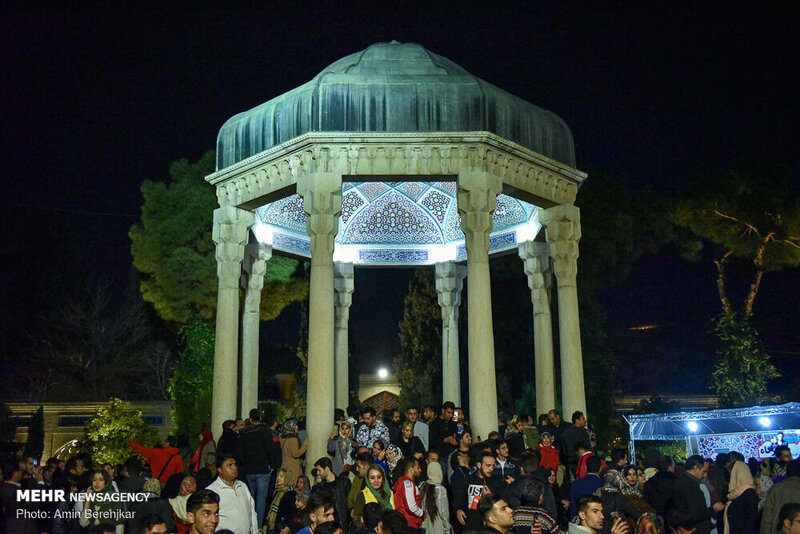 International Norooz Day was proclaimed by the United Nations General Assembly, in its resolution A/RES/64/253 of 2010, at the initiative of several countries that share this holiday (Afghanistan, Albania, Azerbaijan, the Former Yugoslav Republic of Macedonia, India, Iran, Kazakhstan, Kyrgyzstan, Tajikistan, Turkey and Turkmenistan. 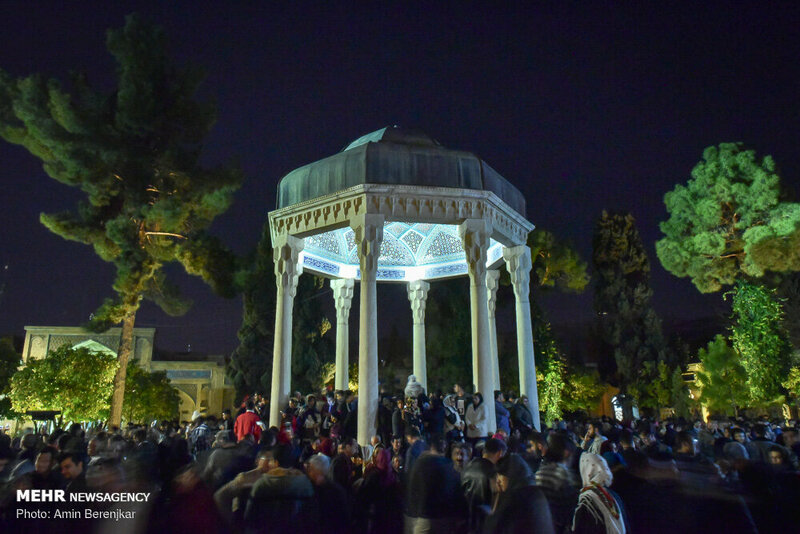 Inscribed in 2009 on the Representative List of the Intangible Cultural Heritage of Humanity as a cultural tradition observed by numerous peoples, Norooz is an ancestral festivity marking the first day of spring and the renewal of nature. 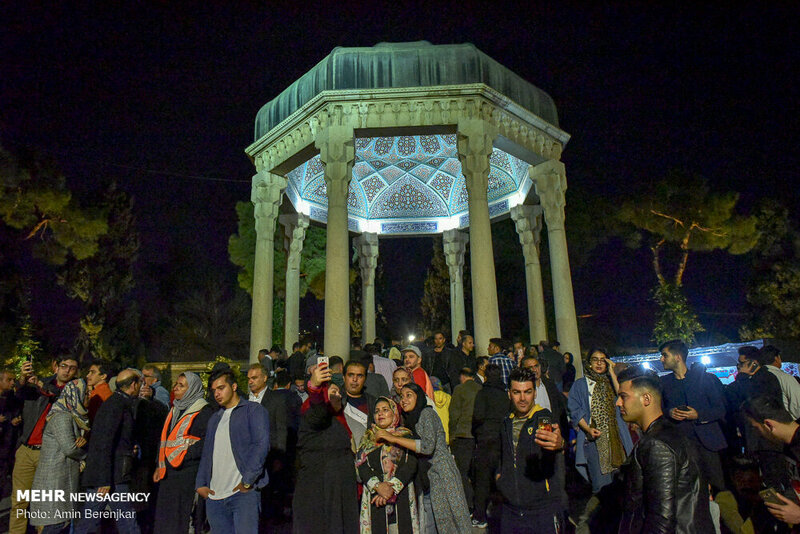 It promotes values of peace and solidarity between generations and within families as well as reconciliation and neighbourliness, thus contributing to cultural diversity and friendship among peoples and different communities.